We Indians love eating a lot. Every state has its own variety. No matter how hard we try making a Punjabi dish in South India or Bengali dish in Gujarat, we miss out the authentic flavor. Every state has got its own little secret ingredients that are very difficult for any other state to capture. The makkhan marke Punjabi dishes, mustard and curry leaves tempered South Indian cuisine, fluffy Gujrati dhokla and the mishit doi of Bengal, the moment you hear these names, it brings water to your tongue. Yes, that is the love we Indians have for food. These lovely dishes bring our appetites to life, we keep eating and then we complain that we are putting on weight. Many of us don’t develop a flavor for corn flakes or oats, the so-called food recommended by dieticians if you wish to intake less amount of calories. Let us study about these different foods that not only are great in taste but also have a health factor related to it. Indianfood and spices are not only tasty and flavorful; they also add a lot of benefits to our health. Now-a-days most of us suffer from weight-related issues. And the diet chart that nutritionists give us is often very difficult to follow. We follow them for a week at the very most and then back to our old rice and rotis and curries. The staple Indian food that Indian homes cannot do without in their meals also have a lot of benefits to your health if eaten in the proper way. They not only help you lose weight but also have a score of healing properties. These items are made of the same basic ingredients that we are to consume to reduce weight. But the only trouble is that we make them in such a way that it definitely adds to the waist line! Here are some of the Indian healthy food items that you can have to help keep our waistlines trim and slim. Let us start with pulses; we all know that dals or pulses are a very good source of vitamins and minerals and also form a main item in our meals. They are rich in Vitamin A, B, C and E and minerals like calcium, iron and potassium. They are also a good source of amino acids. 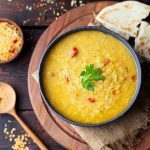 If you have started a slimming diet regime, replace every other dal with moong dal for quite a few months. 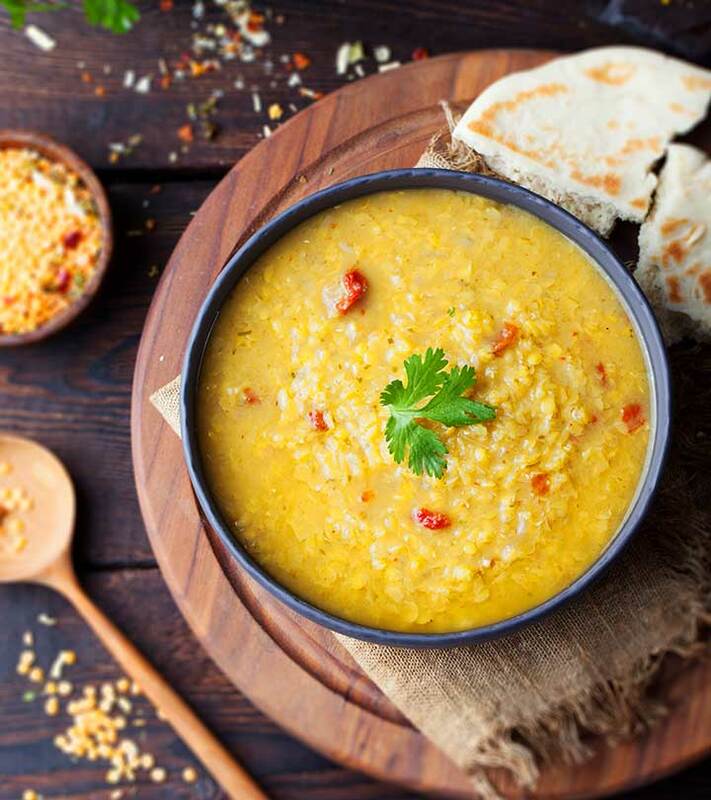 Since moong dal is low in fat content, it is better added in your slimming regime. Pulses are also rich in protein and dietary fibre that helps in controlling blood sugar levels keeping it under control, helps in digestion and also controls high blood cholesterol. These dals wihen cooked with other vegetables and with less oil are even more beneficial! Roti or chapatti forms a staple of north Indians and Rajasthani, now also Bengalis. Traditionally, atta or the flour to make rotis was made out of wheat. But now we get multigrain atta in the market which has an equal proportion of wheat, jowar, bajra, barley or sattu. Now each of these ingredients are rich in fibre content making it good for your stomach and also being rich in carbohydrates it gives you a lot of energy. Chapatti and paranthas both are made of flour with the exception that chapattis are roasted over fire and paranthas with oil or ghee or butter. 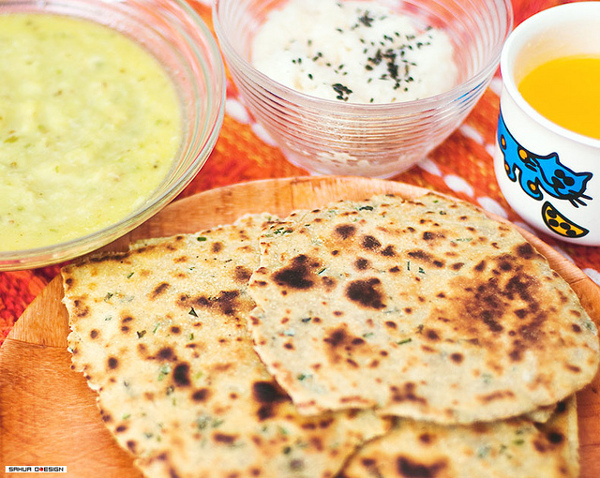 How about we avoid the fatty oil-fried paranthas and have the goodness of flour through rotis? Better health and weight loss can both be tackled with just this one solution. 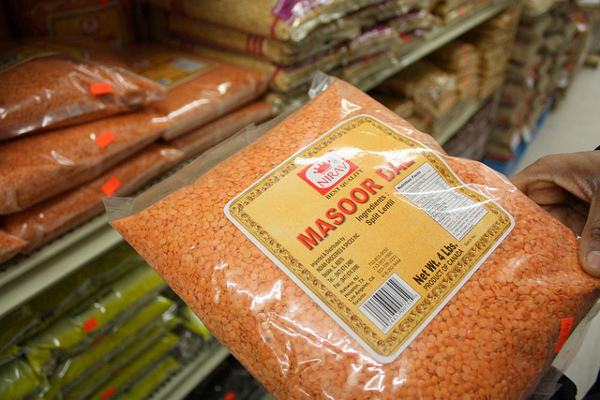 Rice forms another staple diet of the Indians. They have a very special liking for these grains, specially the white one. 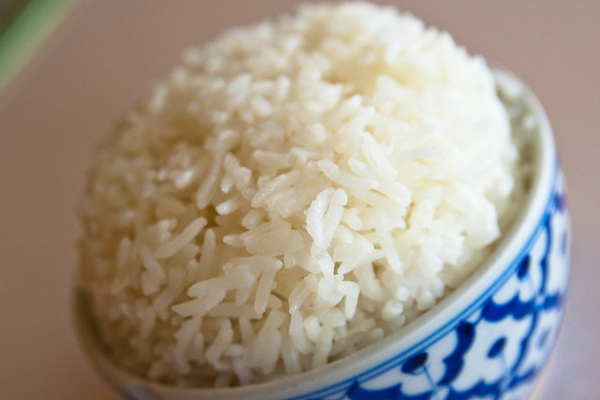 White rice is a polished form which only adds to our taste buds. But they are high on calories. That is why dieticians recommend brown rice which is rich in fiber content. However, if you do not want to have brown rice, have not more than a small bowl of white rice. Supplement it with two chapattis. A lovely combination of carbohydrates and fibers. You have a dose of bot taste and health in the same meal! Indian curries are known all over the world for their texture, spiciness and oiliness. The oil floating on the top and the creamy texture gives an instant appetite to food lovers and makes them avoidable for those who are diet conscious. 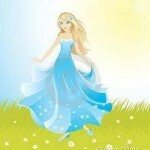 Let us make it favorable for all. Cook in non-stick pans with less oil and roasted whole spices. 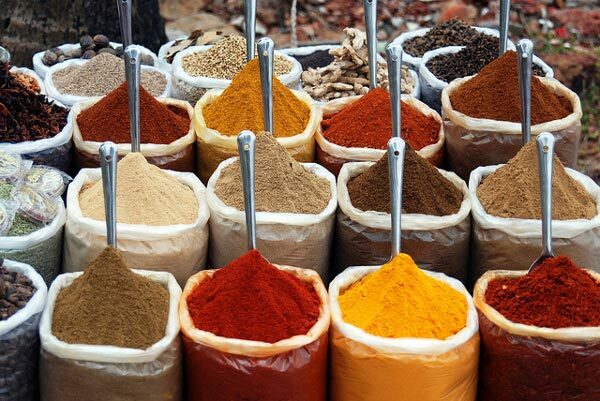 Whole spices give a unique flavor to Indian dishes. For the creamy texture, avoid cream, use yogurt. Using these healthy cooking methods will not only make you healthy but also will keep the flavor intact. Yes. You can now get rid of the myth that a healthy Indian meal cannot be cooked to be tasty at the same time. Considered to be the chicken for vegetarians, the softness and taste of paneer makes it likeable to both old and young alike! As we all know that paneer is made of milk and therefore it is hard to believe that it is low on calories. But the calorie content of paneer depends on whether it is made from full cream milk or toned milk. As it is difficult to understand if bought from the market, so it is advisable you make paneer at home with toned milk. The taste remains intact; it’s only that the calories are cut down. 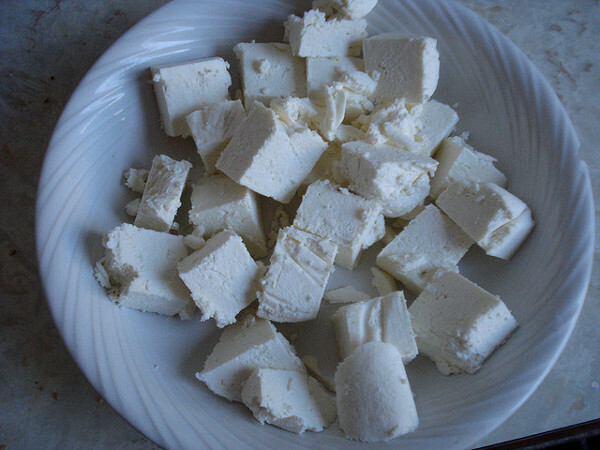 Paneer being made from milk is very rich in proteins and calcium. Also studies have shown that paneer prevents osteoporosis. Here is a classic combination of good taste and health! Another milk product, curd is good for health. 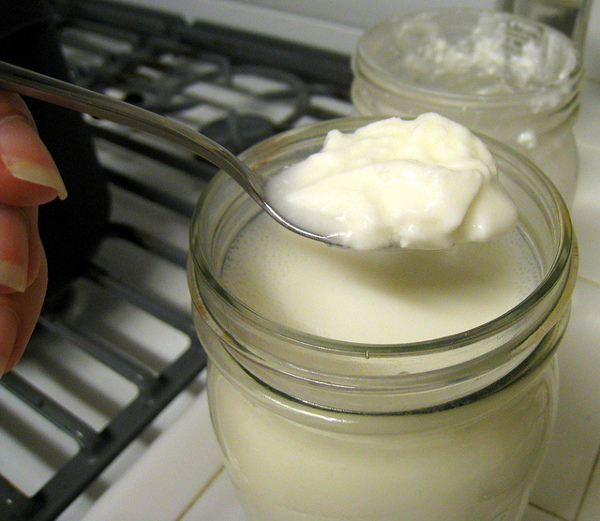 Made from fermented milk with certain bacteria, it is a great ingredient for weight loss. Yogurt also helps in digestion; its those good bacteria which promotes digestion. Curd can also be used in some dishes in place of cream to impart that special creamy texture. However, its good if you use curd made from low fat milk; or make curd at home, even better. Lower the fat content the better! 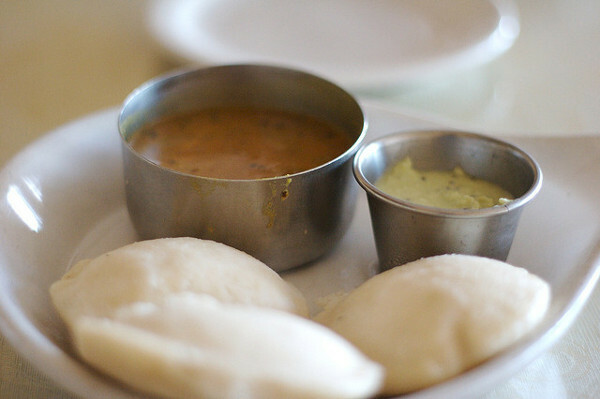 Lets go down south now and look at their staple diet, idly. Made from fermented rice and dal mixture and prepared by steaming, this food from south is a rich source of carbs and protein. Low in fat, these are also easily digestible. The best kind of a breakfast to have if you want to lose weight and can’t stand the sight of oats! In the far west, dhoklas are very popular in Gujarat. 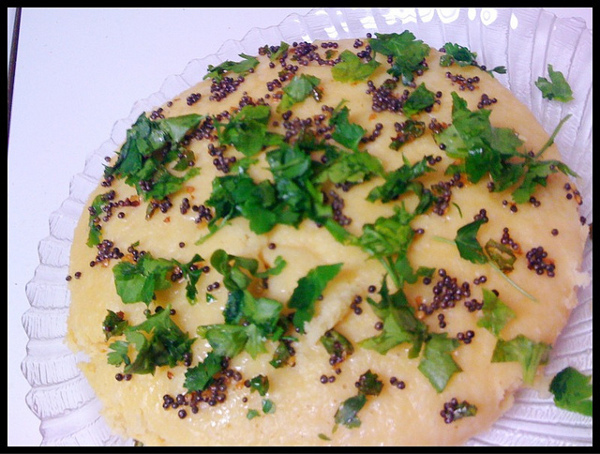 Another fermented and steamed dish from India, dhoklas are made from fermented dal. Dhoklas are good for diabetic patients. Being steamed and not fried, these have no oil content which makes them low on calories and being made from dals increases the proteins and fibre content. A double threat to the weight troubles! Let’s now talk about those very important spices in Indian dishes which not only give flavor to our dishes but is also curable to certain diseases. 1. Turmeric: Starting off with turmeric which is not only an important spice to be used in all Indian dishes but also adds colour and flavor to your special dish. Turmeric has many healing properties. Researches have shown that Turmeric or haldi as known in India, contains a component curcumin which switches off those genes that enlarge heart. Other than that, turmeric is also known to reduce cholesterol and high blood pressure, it also increases proper blood circulation throughout the body and prevents blood clotting. Unbelievable but true, daily consumption of turmeric does reduce the risk of heart attack. 2. Curry leaves: A very important spice used down south specially for tempering. Curry leaves give a very nice aroma to your dish. With regards health benefits, curry leaves reduces weight. They wash out all toxins and fats from your body. The fat deposits in your body starts cutting down gradually with the daily intake of curry leaves. Curry leaves are also good for your hair, it helps hair growth and also prevents premature graying of hair. No wonder why ladies down south take pride in their long, thick and dark hair. 3. Cardamom: Elaichi or cardamom is a very flavor filled Indian spice rich in aroma. Used in richly flavored dishes and also dessert, cardamom is also very good for your health. It increases metabolism, improves digestion and is also beneficial for weight loss. 4. 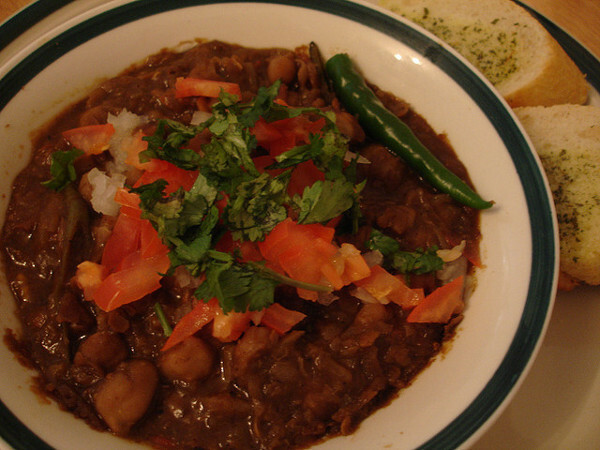 Chilly: Indian dishes are known for their spiciness, no wonder chillies play a vital role. Chillies are a very good herb to burn fat. They contain a special ingredient called capsaicin that helps in improving metabolism and burn fat fast. 5. Garlic: Garlic possesses some anti-bacterial properties that reduce cholesterol and fat. So you see, Indian foods forever are not only spicy and tasty but also add to your health. Don’t torture yourself with tasteless food to lose weight anymore!